COLOR was conceived through conversations of color theory and the science behind prisms. The choreographic phrases and process were drawn from sourced images of each color of the rainbow, darkness and light. The seven colors and sections of the choreography informed the musical composition, which was composed from ideas around the human connection and experience with color present in everyday life. COLOR was created with the performance space Flatland Gallery in mind. The three rooms of the gallery are utilized so that all audience members will receive a unique and close up experience with each of the performing dancers. This performance is supported in part by Dance Source Houston's Production Micro Grant program. She is currently a company member of Frame Dance and Hopestone Dance. Boe has also had the pleasure of working with organizations and individual artist such as Erick Hawkins Dance, Recked Productions, Houston Grand Opera in 2016 productions Carousel, Nixon in China and Faust, Noble Motion Dance, Open Dance Project and Chapman Dance among others. Siri Cyan, a tiny Texan, began her dance training at Houston Ballet’s Ben Stevenson Academy. After graduating from the academy, she moved to Hamburg, Germany to continue her training in the professional division of the Hamburg Ballet School. During her three years in Hamburg she performed with the Hamburg Ballet in several of John Neumeier’s ballets, such as Wunderhorn, Romeo and Juliet, The Little Mermaid, and Swan Lake. She then went on to perform with the Oregon Ballet Theater before returning to Houston to make the transition from ballerina to modern mover. 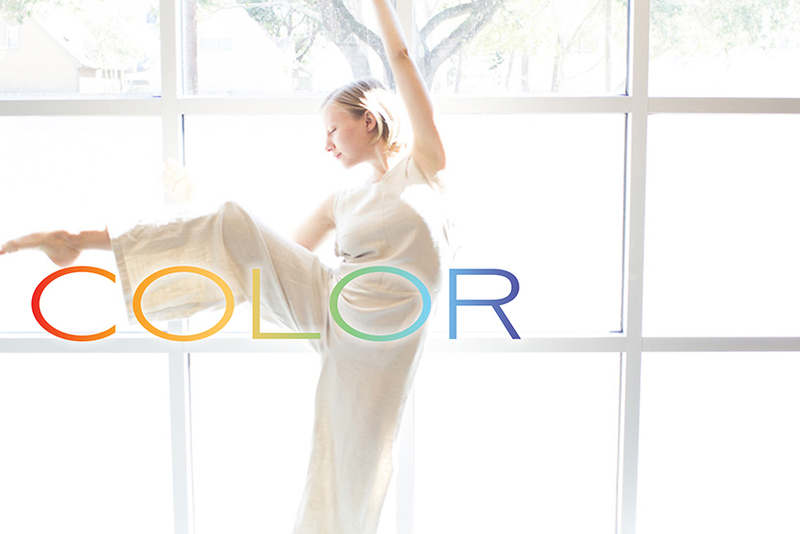 Siri is currently a Texas-based freelance contemporary/modern dancer and choreographer, having just finished a residency with Deborah Hay and diving into the world of COLOR. Jeremy Nuncio is a pianist and composer whose musical infinity lies in the contemporary minimal and improvisational music; both Western and non-Western. During his studies at the Moores School of Music he met his first private jazz piano instructor, Robert Boston. This event would prove to be a great shift for Jeremy and his approach to improvisation; broadening his view of the role that improvisation can play. It was also during this time he studied and performed traditional Balkan music with local Bulgarian zurna player, Hristo Alexiev. Unsatisfied with the tonal possibilities of acoustic instruments, Jeremy began his pursuit into the field of sound design. Brit Wallis, a native Texan, trained at Shelly Power's Academy of Dance and the Houston Ballet Academy under the direction of Ben Stevenson. She was a company member for 5 seasons with METdance formerly known as the Houston Metropolitan Dance Company. She then spent a season in Chicago touring with Luna Negra Dance Theater under the direction of Gustavo Sansano Ramirez, and a summer in New York City performing with Molly Rabinowitz/Liquid Grip. Over the past 12 years Brit has remained actively involved in the Houston dance community consistently working with Jane Weiner & Hope Stone Dance, NobleMotion Dance, Frame Dance Productions, Vault, 6 Degrees, Recked Productions, Michele Brangwen Dance Ensemble and Chapman Dance. Brit most recently toured with contemporary ballet company iMEE (infinite movement ever evolving) to Rhode Island, Florida, Bulgaria, and Mexico City. Ashley Horn is a dancer, choreographer, teacher, filmmaker, costume designer, and artist from the Houston area. She has shown choreography and films at ACDF, The University of Houston, Big Range Dance Festival, The Texas Weekend of Contemporary Dance, Third Coast Dance on Film Festival, The Houston Fringe Festival, and Dance Month at the ERJCC among other venues and events. She has created costumes for FrenetiCore, Frame Dance Productions, Open Dance Project, Sara Draper, Hope Stone, Teresa Chapman, The Pilot Dance Project, Jacquelyne Boe, and her own works. Ashley is a two-time recipient of an individual artist grant from the Houston Arts Alliance for choreography. She has been the artist in residence at Hope Stone and Rice University and has been a guest choreographer for Rice University and The Pilot Dance Project. Ashley is a passionate dance educator at Hope Stone, Inc.
Flatland Gallery just west of Brasil is a multipurpose art space featuring three dimensional work, films, performances and specialty meals. Originally named Mixture, the gallery has served under iterations such as DOMY Books, The Brandon, and She Works Flexible. The previous Gallery "The Brandon" showcased local, national, and international emerging and professional artists to varied audiences. The open floor plan allows for a variety of concepts, exhibitions, pop-up dinners and private parties. For rental and gallery walkthrough inquiries please email hello@brasilcafehouston.com.